Anatomy For Life is a week-long event in which all exhibitions are free. It is organised by a team from Brighton and Sussex Medical School to coincide with National Transplant Week: 8th – 14th July 2013. The aim of the event is to highlight the important message of organ donation. 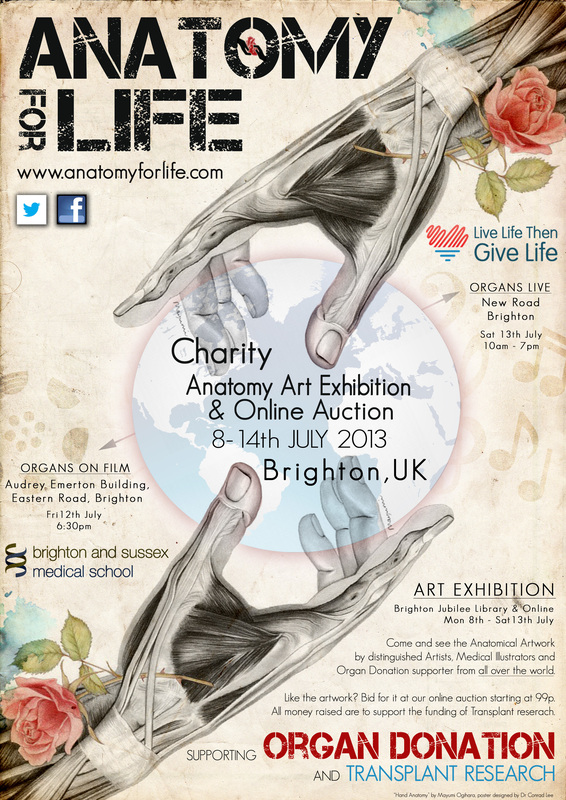 It is in collaboration with NHS Blood Transplant to fund-raise for national charity: Live Life Then Give Life. Click on the poster to open a large version in a new window.